"Mommy, I Have Something to Tell You. Don't Freak Out!" Have you heard this panicked request from your teen? Is he or she going to tell you about a failing grade? Getting a DWI? Driving with a drunk driver? Cutting school and getting caught? Getting pregnant? There are two parts to this essential though cryptic message. "The first is I want you to know something very important. I want to trust you to be on my side" The second is "Please be calm to help me be calm. I'm scared and need your help." How can you respond to the real communication underneath the panic and sincerely be on your teen's side and respect his or her wish to confide in you and get your help? The question suggests you two have a bond that you can rely on. 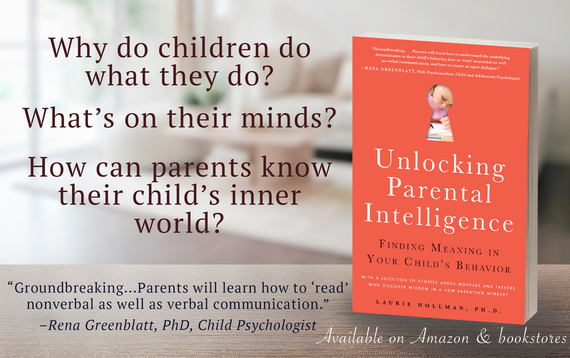 The answer is by using the first principle of Parental Intelligence: Stepping Back. Stepping Back means pausing without judgment before reacting. Giving yourself and your teenager time to absorb the situation, think before you act, and bear the news with an open outlook and hopefully some optimism. Consider the request an invitation for communication, not judgment and criticism. Stepping Back is difficult but if you register the anguish on your teen's brow, you can pull up your compassion and the bond you've been building all these years to face together whatever is the crisis. Sometimes, it's a lot more minor than it sounds. My son came in the house and said, "I have something to tell you but I don't want you to be upset" before entering the kitchen where I could see him. I said, "Don't worry. What's up?" I felt a bit keyed up but really trust my son, so I wasn't panicked. He walked in and I didn't notice anything until he turned around and I saw a space where there should be hair. He told me he let his friend, Tom, cut his hair in a cool style but goofed up. I responded,"You're lucky you're so cute. It will grow back!" Relieved, that gorgeous grin returned and the day went on. This was an easy one. In my book, Unlocking Parental Intelligence, there's a story of a teen, Olivia, who comes to her mother head down. She raises her face to show her mother a golden ring piercing her lower lip. Her mother was shocked, but worked hard at reserving her feelings, holding Olivia's worry in mind. It was important to Olivia's mother that Olivia could tell her about this without too much fear. Olivia started to cry and explained that her best friend convinced her to go the mall where they each got a lip ring. At first, they thought it would be fun to have a new look, but as soon as it was done, they knew it was a big mistake. "How big a mistake could this be?" Olivia's mother asked. Once you've stepped back you have time to find out the meaning behind the behavior, the ultimate step of Parental Intelligence, the crux of the matter that cements your parent-teenage bond. Olivia and her mother discussed as openly as they could why Olivia experimented with the lip piercing, learning together that there were several reasons. Olivia wanted to feel prettier: her self-image was uncertain, and she wanted to experiment with a new look that she thought was more mature. She also wanted to do something independently from her mother. The conversation with her mother allowed her to feel her mother's acceptance, which, in turn, supported her attempt at independence, even though it didn't turn out well as she had hoped. Keeping her shock to herself, Olivia's mother reaped tremendous rewards. She learned much more about Olivia than she had imagined was possible, and she suffered along with her daughter as Olivia poured out her lack of confidence and desire to be independent. This led to greater understanding not only of this experience, but also of their relationship as a whole. This article was first viewed on 99check. Laurie Hollman, Ph.D. is a psychoanalyst with a recent book, Unlocking Parental Intelligence: Finding Meaning in Your Child's Behavior, found on Amazon, Barnes & Noble, Familius and wherever books are found.